An older woman pursuing a younger man has been an en vogue big (and little) screen plot for what seems like ages. The so-called cougar phenomenon indulges May-December fantasies without risking the discomfort that the opposite configuration can elicit. But South Korean director Jung Ji-woo does just that in his award-winning, and controversial,Eungyo (A Muse), which had its New York Premiere at the New York Asian Film Festival over the weekend. Based on the novel Eun-gyo by Park Bum-shin, the film, which polarized audiences at home, revolves around an aging poet laureate (played by Park Hae-il) and his protégé who become romantically tangled with a beautiful 17 year-old high schooler, deftly played by newcomer Kim Go-Eun who won the break-out role over scores of veteran actresses. "It was very black and white with audiences in South Korea," said Kim at the Walter Reade Theater Sunday. "Some people really liked it and others didn't. It divided people. For those who supported the movie, they were able to understand the directors point of view and the point he wanted to make. For those who didn't like it, they only saw the surface, I think. You have to dig below to fully understand the story. People against it were only interested in the scandalous or salacious parts of the movie and didn't go beyond that." Loneliness and youthful exuberance are two constants throughout the film. Seventy-something Lee Jeok-yo is a hailed poet/writer. After arriving home with his thirty-ish assistant, Seo Ji-woo (Kim Mu-yeol), he discovers young Eun-gyo (Kim) on a deck chair in his yard. Her beauty and youth immediately charm the poet, who ignores the fact that she trespassed on his property. After chatting, he offers her a part-time job working at his home. Her presence and attention quickly awakens a lust for life and a reconnection to his youth. Lee becomes increasingly attached to the girl, who is only too ready to lavish him with affection. On the side, he embarks on writing a short story about an imagined sexual relationship with her. His protégé, however, becomes increasingly jealous and voices his disdain for what he says is an inappropriate relationship. After discovering the short story, his emotions reach a boiling point and he decides to take the short story and publish it under his own name. "In the beginning it was the the youth that Eun-gyo possessed that made Mr Lee attracted to her," said Kim. "When he began to love her, they were able to [understand each other]. He was able to see the sadness in her and she was able to give back to him emotionally." Kim studied drama at the Korea National University of Arts and had never appeared in a film or television series. After a chance meeting with the director, she ended up auditioning for the role of Eun-gyo, which was clearly a sought after part with scores of actresses vying for the part. "I didn't think about it a lot," said Kim. "I didn't go in there thinking I have to get this role. I had some lines that I memorized but I also like to sing. So, I went in and played guitar and sang during the audition." Korean-born, Kim spent a decade in China, which she says gave her an opportunity to experience different perspectives, which has informed her approach. "My time in China has allowed me to see things outside of the box and that has helped my approach to many things that I do," she said. The fledgling star is currently working on a new film called Master, in which she plays a person with disabilities, but manages to fight. She said the role has a "significant psychological aspect to it." She will start another new project in September. Kim is clearly on a roll, having received a number of accolades including eight Best New Actress prizes by prestigious organizations back home including the Korean Association of Film Critics and the Buil Film Awards, where A Muse also won Best Film. Looking ahead, Kim says she wants to explore different genres,and is even interested in doing foreign films: "I want to do everything. I want to try all kinds of roles in both Korea and abroad." But for now, she is continuing to receive notice for A Muse. 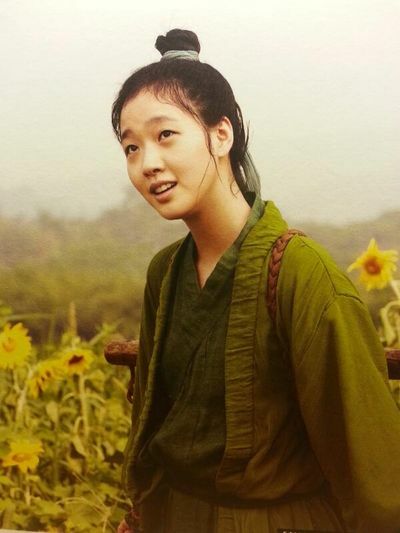 "I was just curious about what kind of an actress would play the part of Eun-gyo. I had no idea I would play her." Updated cast for the upcoming Korean movie "A Touch of Zen"
During the age of military when riots would never end, Poong-cheon, Seol-lang and Deok-gi used to lead the riots. The moment their cause has been realized, Deok-gi's betrayal leads to the death of Poong-cheon and Seol-lang disappears with Poong-cheon's sword and her daughter Hong-i. She leaves a message saying, "You will die in the hands of me and Hong-i". Jo Jeong-seok, Kim Go-eun and Lee Jong-suk "Sophmore jinx?" Many actors and actresses who are into their second year of acting are being focused on right now. The sophomore jinx which is a kind of slump one goes through at about their second year since their debut, does not apply to Jo Jeong-seok, Kim Go-eun-I and Lee Jong-suk. They have taken their places as mature actors and actress. Jo Jeong-seok debuted last year with "Architecture 101" and continues to star in highlighted historical dramas "The Face Reader" and "The King's Wrath". They are both highly anticipated dramas due to their storyline and lineup starring Song Kang-ho. Jo Jeong-seok takes on the role of a killer who goes through hardships with Song Kang-ho and tries to kill the king, Hyeon Bin. 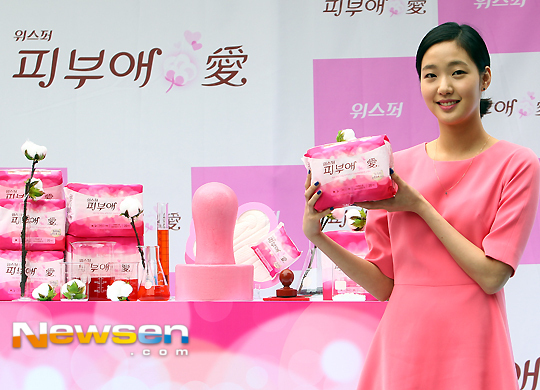 Kim Go-eun-I debuted with the movie "A Muse" last year and she chose to work with a top actor. She stars in the martial arts movie "A Touch of Zen" with world star Lee Byeong-Heon. Kim was also called 'the next Jeon Do-yeon' when she first came out and now she grabbed the opportunity to co-star with the famous actress in this movie within a year of her debut. She's currently filming the thriller"Monster". Lee Jong-suk is also one who is irrelevant to the sophomore jinx. He debuted last year with the movie "Korea" and he's headlining movies in less than a year. He's currently busy with his first leading movie "NO-BREATH" which is about swimmers. He starred in "The Face Reader" as Song Kang-ho's son. Their activities are being more noticed with the varying number of Korean movies produced. It seems like this is due not only to the abilities of the actors and actresses but also because the genre in which movies are being made, is becoming more and more diverse. South Korea’s Lotte Entertainment is launching sales on three new additions to its line-up at Busan’s Asian Film Market. The slate is led by Park Heung-shik’s highly anticipated Memories Of The Sword, starring Lee Byung-hun from Red 2 and Masqeurade and Jeon Do-youn from The Housemaid and Secret Sunshine. Set at the turbulent end of the Goryeo dynasty, the martial arts piece also stars Kim Go-eun, the ingenue from Eungyo, and Lee Joon-ho – also known as Junho from the K-pop group 2PM - who recently featured in surveillance thriller Cold Eyes. The film is set for release in the second half of 2014. Lotte’s second new addition is The King’s Wrath (working title), a historical action piece about palace intrigues during King Jeong-jo’s reign in the Joseon dynasty. The film is directed by Lee Jae-gyu, well-known for hit TV series such as Beethoven Virus, Damo and The King 2 Hearts. Actor Hyun Bin (Late Autumn), in his first film after completing his mandatory military service, stars as the king. 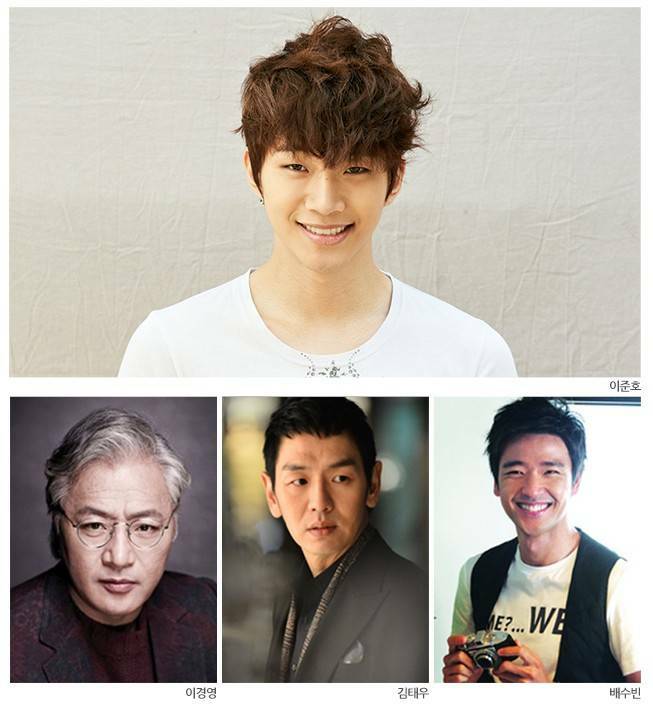 Jung Jae-Young from Confession Of Murder and Cho Jung-Seok from The Face Reader also feature. Currently in production, The King’s Wrath is set for local release in May 2014. 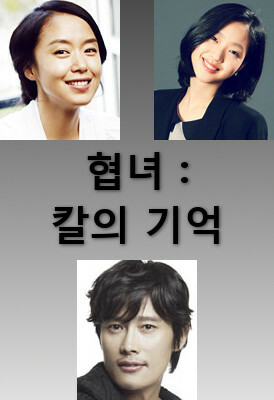 Lotte’s third new film is The Pirates (working title), directed by Lee Seok-hoon, whose credits include Dancing Queen. A big-budget seafaring adventure, The Pirates stars Kim Nam-gil from popular TV series like The Great Queen Seondeok and Bad Guy and Son Ye-jin from The Tower and My Wife Got Married. Also currently in production, the film is due for release in the second half of 2014. The Korean film industry attained a meaningful achievement this year by selling more than 200 million tickets for the first time in history. Following this year’s success, the country’s major film producers recently announced their lineups for 2014. And it seems like local moviegoers will be bombarded with period blockbusters next year. 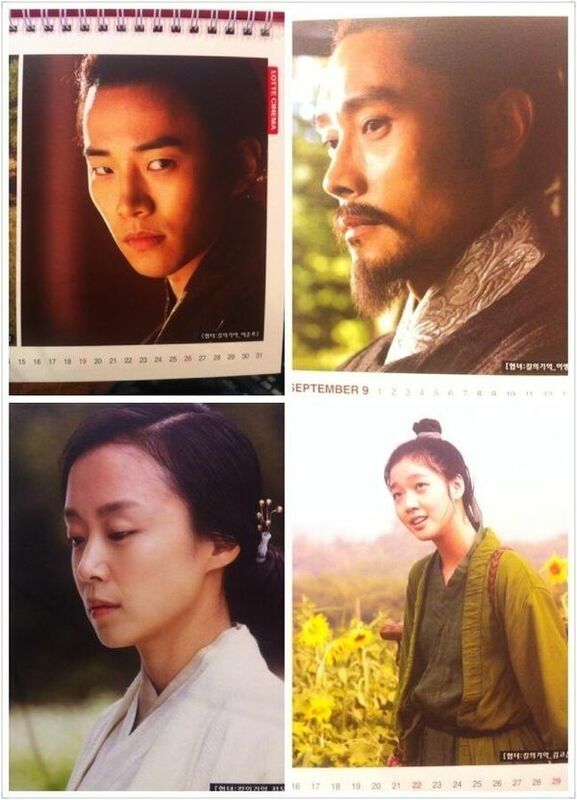 Some of the most anticipated films of 2014 are period dramas, including Cannes-winning actress Jeon Do-yeon’s upcoming martial arts flick “Hyeopnyeo” and “Battle of Myeongryang,” a film about legendary Joseon admiral Yi Sun-sin (1545-1598). In the past few years, period dramas have been enjoying increasing popularity in Korea. 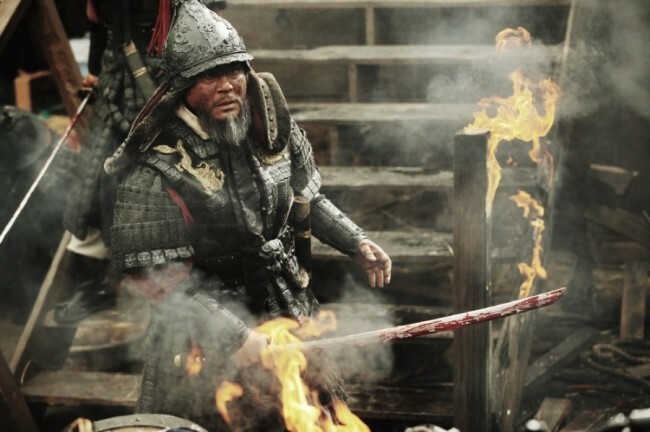 In 2011, director Kim Han-min’s period drama “War of the Arrows” became the highest grossing Korean film of the year, attracting a total of 7,470,633 viewers. In the following year, another period drama “Masquerade,” a fictionalized account of King Gwanghae, the 15th ruler of Joseon, became a massive hit ― becoming the second highest grossing film of that year. Among the period dramas to be released next year, “Hyeopnyeo” stars top actor Lee Byung-hun, whose performance as the hapless king in “Masquerade” received much praise, alongside Jeon. Emerging actress Kim Go-eun, who swept Best New Actress prizes in 2012 for her role as a beautiful, reckless teenager in director Jung Ji-woo’s sensual drama “Eungyo,” will appear as Jeon’s daughter. Jeon, who stars as swordswoman and a mother during Korea’s Goryeo Kingdom (918-1392) in the upcoming movie, worked with Lee Byung-hun in 1999 for director Lee Young-jae’s “The Harmonium in My Memory.” It is the first time that the two are co-starring in the same film since then. Following his success with “War of the Arrows,” director Kim Han-min is to return next year with “Battle of Myeongryang.” The film stars “Oldboy” and “I Saw the Devil” actor Choi Min-sik as the iconic Joseon admiral Yi Sun-sin. It mainly follows the famous 1597 Battle of Myeongryang during the Japanese invasion of Korea (1592-1598), where Yi managed to destroy a total of 133 Japanese warships with only 13 ships remaining in his command. The battle, which took place in the Myeongryang Strait off the southwest coast of the Korean Peninsula, is considered one of the greatest victories of Yi. Meanwhile, popular actress Son Ye-jin (“My Wife Got Married,” “White Night”) is returning as a pirate in upcoming period blockbuster “Pirates.” The 10 billion-won project, directed by Lee Seok-hoon (“Dancing Queen”), features adventure with two groups ― one made of pirates and the other of bandits ― who desperately try to hunt down a whale that swallowed the royal seal of Joseon. Local fans of popular actor Hyun Bin (“Come Rain, Come Shine,” “Late Autumn”) will be delighted to hear that he is returning next year as King Jeongjo, the 22nd ruler of Joseon, in a period drama titled “Yeogrin” (The King’s Wrath). The fictionalized film, directed by former TV producer-director Lee Jae-gyoo (“The Legendary Police Woman,” “Beethoven Virus”), deals with the death of the king, who is regarded as one of the most successful rulers of the Joseon Dynasty.